Putin@war: Russia hijacked MH370 and made it disappear as a distraction from its invasion into Crimea? Russia hijacked MH370 and made it disappear as a distraction from its invasion into Crimea? In this article aviation expert Jeff Wise says Russia might have hijacked MH370. Russian Airlines Aeroflot has boeing 777 in its fleet, so they have the knowledge of the systems. These three men could for instance have been Russian Aviation Experts, FSB and/or military agents. But the motive is simple: to create a distraction for the world from Russia taking over Crimea. I remember the moment that MH370 disappeared VERY WELL. It was RIGHT IN THE MIDDLE of Russia invading and taking over Crimea. By the time it became clear that this was a Russian military operation MH370 disappeared. My thoughts at that time where like this: "Oh no!!!! Now the world has something else to focus on. They will forget about Russia invading Crimea. How is it possible that this happens at the worst time possible." After some time, when details became clear, I thought: "To make an airplane disappear without a trace... that is not a terrorist act, it is not a pilot going bongus. You need to know how to put out a transponder... you need to know how and where to avoid normal radar... This is a very precise operation. It is a military operation! Russia might have made the airplane disappear to create a distraction for the world, because the world was ALL OVER Crimea right than and there. I never really published my thoughts on this, knowing that the idea alone is too crazy for some people. In a podcast on July 24th 2014 Eliot Higgins (we hardly knew each other back then) praised my analysis on finding the MH17 missile launch location, but thought my idea of Russians taking down MH370 was far off :-). Now, one year after MH17 I wanted to explain myself. Fortunately Jeff Wise, an authority, published his ideas already. That saved me a lot of work. So here you are... this is the (conspiracy) theory that has not had enough attention and investigation so far: Russia hijacked MH370 and made it disappear as a distraction from its invasion into Crimea. If this is true, it may shed more light on the motive to shoot down MH17 too! Russia got away with making MH370 disappear BIG TIME. So why not do it again? Based on those videos we and others could determine from where and in what direction they were shooting. See this blog. This was HARD evidence! Proof! And it was something that should be avoided to draw the attention of the world AT ALL COSTS. Because it proved Russia's involvement. And at that moment the world was still thinking it was some civil war in Donbas (some still think it is up until today). They got away with the first one. They might get away with this one too. 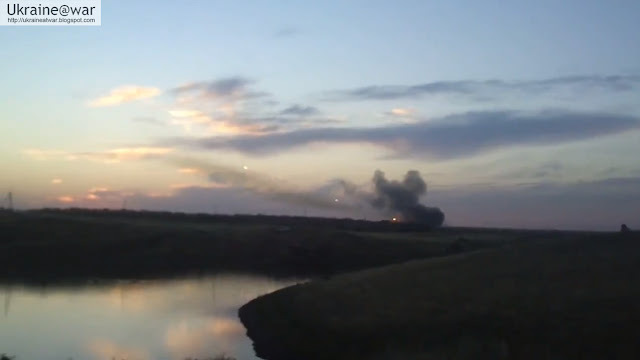 In fact... one year after MH17, there are little to NO consequences at all for those involved in bringing down MH17. They do get away with it too... And as long as Putin will wage war... he will be immune. This is his personal blog about it. 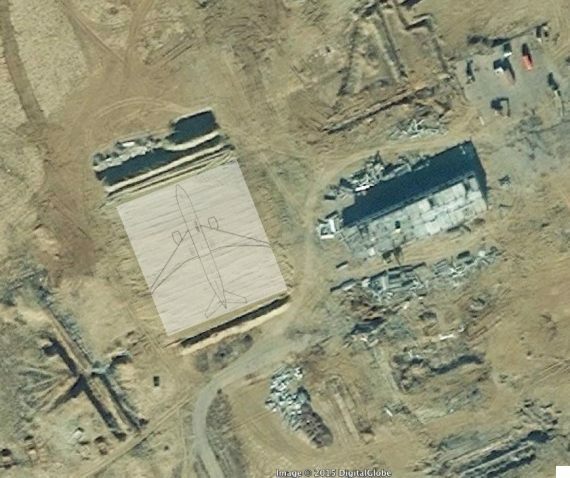 Google maps link to Yubileyniy Aerodrome.